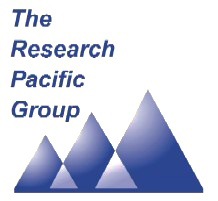 Research Pacific Japan addresses the needs of international Clients requiring a quality oriented but Western client-friendly and flexible, cost-effective solution for Japan. Facilities include a CATI hub for B2B research, a growing consumer panel data base and our own state of the art Consumer Insights Studio “The Qualitative Connection” in central Tokyo. On staff moderators who are fluently bilingual, in-house recruitment, and a team highly experienced in difficult fields of medical, B2B & techno-industrial, HNW and lifestyle work, ethnographic visits and more, are available. We also have sister companies in China, Hong Kong, India, Korea, Malaysia, as well as our Singapore management centre, plus a cohort of long term partners in Australia, Indonesia, Philippines, Taiwan, Thailand, Vietnam. Japan has a population of 126,230,625. In 2006, Japan’s population decreased for the first time, the census study was conducted in 1968. In 2008 and 2009, Japan’s population increased slightly higher. However, last year its population declined again; 127,057,860 in 2010 →　126,230,625 in 2011. Productive-age and youth population ratio has been decreasing since the study commenced in 1994 but on the contrary aged population ratio has been increasing yearly. In 2001, MR industry have faced sever situation due to Higashi-Nippon Tsunami Earthquake followed by Fukushima nuclear plant problem. This meant that virtually all activity was suspended for many months. In general terms of for quantitative work there is a continuing shift to Internet, with such data collection reported but JMRA to be up a further 109.1% against last year. After internet, intercept at CLT is main method; Qualitative is still significant, although often conducted differently in JP than in West, but is also an important tool for foreign companies to understand Japan. Japan’ hitherto fore unique mobile phone market , a.k.a.“Galapagos market” has been remarkably changing with the introduction of Smartphone/ iPhone/ Android. Although the domestic mobile phone market has been expanded for this second straight year with this major force, overseas manufacturers like Apple and Samsung conquered 60% of Smartphone share, causing the declining rate of each domestic manufacturer down to 20 points, a major and unprecedented loss. For a long time, Japan’s unique internet system for mobile phone such as “i-mode” had prevented the penetration of global content delivery or apps, only domestic companies content was accessible and exclusively within Japan. However, the entry of these Global Smartphones has opened the door to much wider access. Aging related health-care is one of the hottest topics in Japan. Studies shown that medical expenditure has increased to 9% of gdp and has been increasing gradually since 2000. Diseases awareness advertisements seem to be increasing through the internet, click here for example (www.ibsnet.jp). According to a survey, among 30,000 respondents, 111 has diseases such as .. diabetes and cancer, lifestyle diseases such as high blood pressure and depression. …..which although low by global standards is high historically in Japan.